Ailsa Greenwood has worked in the Real Estate industry for sixteen years, the majority of them in Paihia, Bay of Islands, with a five year stint as a Licensed Agent in Kerikeri. She began in administration, completing her salespersons course during this time, before beginning her successful sales career. She was appointed a Branch Manager in 2004 before leaving late in 2006 to manage a new real estate office in Opua. This was ultimately absorbed into a Kerikeri business and Ailsa moved there as their individual licensed Agent. Her working background was in advertising, both in radio and in advertising agencies over many years in Wellington. She and her partner moved to Paihia to purchase a garden centre in 1986 and operated that for five years before selling. After a few years in the hospitality industry and at the Waitangi National Trust, Ailsa eventually discovered her niche in Real Estate. 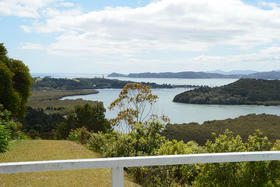 Paihia has been home now for 26 years and she is fully committed to the area and its vendors and purchasers. Today Ailsa is back in her familiar hometown market of Paihia, working from the same office where she began and working amongst the properties and vendors she knows and understands. Paihia, Opua and the wider Haruru – Puketona areas are her specialties.